About Waitte's Insurance Agency, Inc.
Our team is here to help make insurance simple. Our professional staff with discuss with you your needs, then match you with a personalized policy from our network of insurance carriers. Finding the policy that is right for you. 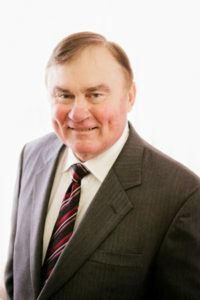 Edward J. Waitte has been the President of Waitte’s Insurance Agency, Inc. since 1985. Between his time as an insurance agent and his tenure as the current President, Edward has 35 collective years of expertise in managing and operating the family-run business. After serving as a fighter pilot in the United States Air Force for 42 years, Edward continued towards a lucrative career in the insurance industry. In 1978 he joined the family owned company that was first established in 1909, where he is licensed to write insurance for business, life, home and auto accounts. To this day, professionals such as doctors, lawyers, executives and even political leaders trust Edward with their insurance affairs. In his free time he enjoys fishing, and also acts as an Assistant Scout Master and an area merit badge counselor for the Boy Scouts of America. Edward married his wife Kate in 1972, and together have a son, Ethan; who has followed in his fathers footsteps and is currently a Major in the U.S Air Force. To contact Edward J. Waitte, please email him at ewaitte@waittesinsurance.com. 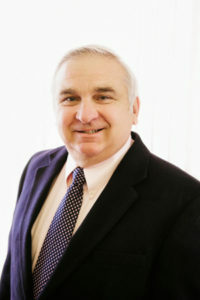 Michael J. Waitte has been the Executive Vice-President for Waitte's Insurance Agency, Inc. since 1987. Michael was a member of the Air Force ROTC and was selected for a pilot ‘slot’ at Columbus Air Force Base. After graduating from pilot school, Michael served in the U.S Air Force piloting F-111’s for 8 years. He continued his flying career in the National Guard at Bradley International Airport for 12 years. In 1986, he joined his family-run insurance agency that had been created by his father in 1957. With his licenses in property, casualty, health and life insurance in the State of Connecticut, Michael is currently responsible for agency management, personnel matters and commercial risk placement for Waittes Insurance. The twenty plus years of expertise in the Air Force and in the insurance industry has given Michael the organizational and people skills to aid in everyday business operations and present insurance matters to clients clearly and effectively. During his downtime, Michael enjoys building furniture, doing lawn work and walking his two Boarder Collies. To contact Michael J. Waitte, please email him at mwaitte@waittesinsurance.com. 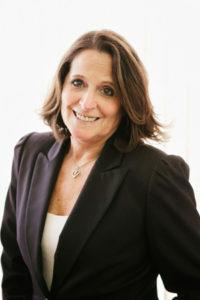 Patricia Zils has been a licensed Insurance Agent for Waitte's Insurance Agency, Inc. since 1993. Earlier in life, Patricia took pride in devoting herself to raising her three sons George, Michael and Kevin. She then decided to join the workforce in 1986 where she began working for Munich R.E Insurance as a Technical Assistant until 1993. Patricia immediately made the transition to Waitte's Insurance Agency the same year and currently holds her position there as a licensed agent. On her free time, Patricia enjoys gardening, crafts, exercising, working around the house and watching her favorite professional sports teams with her husband, Jim. To contact Patricia, please email her at pzils@waittesinsurance.com. 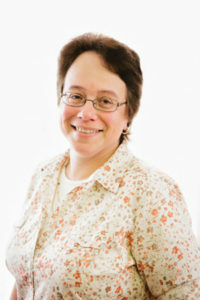 Debbie Froio is a licensed Property Casualty Agent who has been in the insurance industry for 36 years. After working at the Moran Insurance Agency for 18 years, Debbie has continued to work for the Waitte's Insurance group after they purchased the Moran Agency in 1996. ]She enjoys hiking with her two German Shepherds, as well as gardening, quilting, scrapbooking and reading. Debbie Froio can be contacted at dfroio@waittesinsurance.com. At Waitte’s Insurance we are committed to the safety and security of our insurance clients as well as the that of our country.